Why would I need self storage in Napa, CA? There are a variety of reasons why you might need self-storage in Napa, CA. How much is a storage unit in Napa, CA? The cheapest storage unit in Napa, CA is $137.00 per month. What size storage units do you have available in Napa, CA? In Napa, CA we have sizes that range from 5'x5' to 5'x10' to suit your storage needs. How much is it for a 5'x5' storage unit in Napa, CA? The cheapest 5'x5' storage unit in Napa, CA is $137.00 per month. Napa is the principal city and county seat of California's Napa County. The city is in the heart of the state's famous Napa Valley, 45 miles north of Oakland and 60 miles southwest of Sacramento. Napa and the nearby city of Santa Rosa make up California's wine country, famous for its rolling vineyards and large number of wineries. 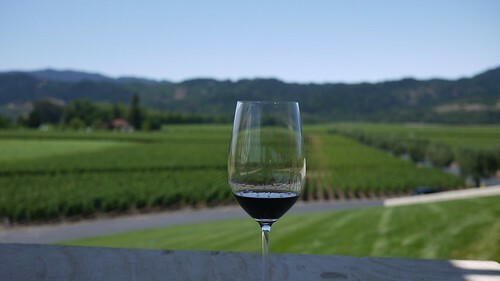 Napa is a popular tourist destination, drawing attention mainly for its more than 200 local wineries growing warm-climate wine grapes, including cabernet sauvignon and chardonnay. Annual events, including the Wine and Crafts Faire, Napa Town & Country Fair and Mustard Festival, also draw big crowds. Like many areas of California, this area was home to Native Americans long before it was known as Napa. It's thought that the city's name was likely inspired by the Nappan village in the area, where natives lived for hundreds of years. Spanish missionaries arrived in the 1820s, and American farmers followed shortly after. Napa became one of the state's first counties in 1850 and then grew swiftly with the California gold rush. It developed large cattle and lumber industries and was a significant site of important mines in the 1860s. By 1872, the city had earned its official incorporation. The agriculture and wine industries Napa is now famous for did not develop until the 20th century. The strength of these sectors also brought supporting retail, banking and commercial operations to Napa, helping it evolve into the flourishing city it is today. Napa's economy is built around its strong wine, tourism and hospitality industries. A large percentage of local businesses are directly or indirectly involved with these sectors, and much of the city's job growth can be tied to these fields. Many of Napa's largest employers are also from these industries, including Marriott-Napa Valley Hotel & Spa, Meritage Resort and Spa, Treasury Wine Estates and Silverado Resort and Spa. Major retailers like Walmart and Home Depot, building manufacturers Syar Industries and Owens Corning and health care entities like Napa State Hospital and the Napa County Health and Human Service Agency are also major employers in Napa. The unemployment rate in Napa is significantly lower than the California average, which is great news if you're planning on joining the local job market. The Napa Valley Unified School District serves the public schools in Napa and the neighboring communities of American Canyon and Yountville. Napa also has a handful of private schools to offer, with secular, Montessori and faith-based campuses to consider. Utilities: Pacific Gas and Electric is Napa's central energy provider. The city's water division manages local water and sewer services. Garbage and Recycling: The city facilitates weekly collection of trash, recyclables and compostables. You can also schedule pick-up of bulky items, tires and electronics. Transportation: The area's fixed bus route system is called The Vine, and it includes access to the local Bay Area Rapid Transit (BART) station. From there, you can access the larger Bay Area. The median home price in Napa is about even with the California average, though much higher than the national average. Although many people imagine Napa as a city of large vineyard estates, there's actually a variety of housing options to choose from, including cozy single-family homes, compact apartments and luxurious townhomes. Our lowest priced units in Napa, CA average $137.00 per month. 33 people have reserved units in Napa, CA in the past 30 days. There is 1 location within Napa, CA's city limits.